Lord Christopher Monckton explains the fraud perpetrated on the American people. 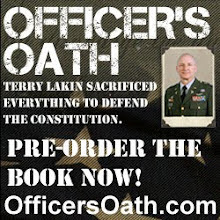 - Author Tom Ballantyne emphasizes media and officials' role in the cover up and erosion of rule of law. - I was on the fence over this birth certificate stuff, but now I see what you're talking about-- R.S. - That was amazing- R.R. - I don't see how he could get away with that-- S.R. That should be enough to make green, liberal heads explode. The Lord Monckton entourage swept into town yesterday, starting with a late lunch at Fin’s Restaurant in Westlake, taking an unplanned side trip to visit the Ronald Reagan memorial, then over to the event site, at scenic Eden Gardens, in Moorpark. Yours truly had to leave early to assist the other commoners in setting up for the meeting. Article II SuperPAC board member Gary Wilmott asked me what I thought about having Lord Monckton speak to us. I said what month did he have in mind? He said- how about this Wednesday-- an unplanned one-day extension of the U.S. tour? We sealed the deal on Memorial Day, so it was pretty short notice, even for us-- one business day. Based on a previous membership vote to hold an eligibility event, we went for it. The event was sponsored by Ventura County Tea Party, Obamaballotchallenge.com and Article II SuperPAC. Gary Laconis funded and managed the national tour. This is a multifaceted issue. Lord Monckton has mainly delved into the document fraud issue, so far, in his inimitable style, incorporating research, logic, coupled with effective communication/presentation, with wit and elan. It was clear to anyone with knowledge of legal issues that he is not up to date on all aspects of natural born Citizenship issues and litigation efforts yet, although I'm betting he will be. The bottom line is that the USA elected an ineligible “President” and this cannot ever be permitted to occur again. This was done under false pretenses, but people in power and the media had enough information to legitimately question it at the time, but flatly refused to. The mission of the tour was to widely communicate that message. Author Tom Ballantyne outlined some of the media role in perpetrating the fraud and the effect this is having on the country, in undermining the rule of law. Obama "Proofers" or "Eligibility Challengers," as we prefer to be called, are alive and well in VC, although outnumbered by Liberals and cowardly Republicans who will not act, for varying reasons, some of which are canny political calculations. Author Tom Ballantyne led off, discussing “media” complicity in a continuing enablement of Obama’s election fraud and other offenses. He concentrated on so-called Conservative media doing so, naming names and describing the disastrous effect this has had. It’s more difficult to criticize Progressive media for doing this when your own presumed allies are doing it even worse. He also mentioned the complicit role of statist politicians on both sides of the aisle. We asked Lord Monckton, the world’s leading debunker (not just “denier”) of the man-made global warming fraud, to focus on the “Obama” (in quotes, because it might not even be his legal name) eligibility issue. For those of you who don’t know, he is a brilliant man, not just “born to the manor,” but an accomplished businessman, architect, inventor and even advisor to Prime Minister Margaret Thatcher. So, when he took up the Global Warming debunking course, it was a well-planned, well-executed, logical and well-communicated counterattack. Now, it looks like he’s doing the same thing with eligibility. He also did an excellent summary of the anti man-made Global Warming fraud efforts. Monckton expressed amazement that this fraud has been perpetrated so long, mentioned that foreign officials are sniggering over it, wondering when it will be resolved and who will have the courage to do so. He mentioned that birth records are public record in Great Britain- everyone can see them and this nonsense never would have occurred, if we did the same. It defies logic that "Obama" would refuse to release information exonerating him, if everything was on the up and up. Hawaii has been playing games. There is no way the info on file can agree with the forgery on the web site, which is a felony in itself. He thinks we know who did it, but Obama is complicit in representing it as a true document-- he now "owns" it. The forged and withheld documents and conflicting statements are very damning. This is a CONSTITUTIONAL issue, not a political issue, not a racial issue, not a religious issue. It's Constitutional and the rule of law is at stake. 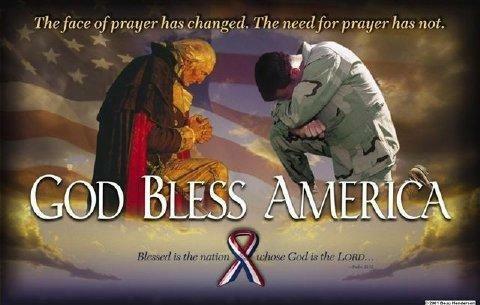 Whether you like Obama, his politics and beliefs or not, the issue must be looked at and acted upon on its merits. Monckton pointed out the numerous digital document anomalies/artifacts, demonstrating that the document was a fraud, could not have been scanned from a hard copy. Even if it was, there is massive, irrefutable evidence of manipulation kerned letters, mixed fonts, edited pixels, etc. He didn't even point out all the discrepancies I have seen in reports by the Arpaio "Cold Case Posse," reports by Doug Vogt, Paul Irey and others. But, corroboration of others' work hammers more new nails into "Obama's" political coffin. It was pointed out by some that Obama's foreign father alone means he isn't a natural born citizen, per the Minor v Happersett Supreme Court ruling and hundreds of years of settled law and more. So, was any of this news? To me, who's tracked this for four years-- no. But for millions who haven't, it's VERY big news, broadcast from the bully pulpit of a very high visibility figure. It's news that a very high profile international political activist has researched this, conferred with others, concurred and gone all-in to support us. He told us last night that Great Britain has an interest in preserving a free America, quite the opposite of another British-born citizen, one "AKA "Barack Hussein Obama." 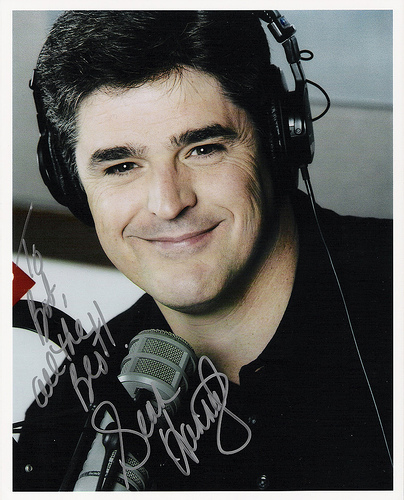 Also news is that still more high profile people are coming over to our side-- even after being nearly Alinsky-ed to death- criticized, mocked, demonized, slandered libeled, etc. In addition to Monckton, we have Trump back again, Michael Savage and others. Mitt Romney has not attempted to muzzle Trump, even though they campaign together-- not in synch with the Republican program to date. Both Monckton and Trump are more than a match for media personalities who attempt to best them, although Trump clearly hasn't done all his homework. Even Mark Levin showed an uncharacteristic sympathy for proofers this week. Reporter Mike Harris of the Ventura County Star attended and told me an article will come out the afternoon of May 31. He was amused by my comment bemoaning opponents' attempts to paint us as "Knuckle-dragging, gun-toting, bible-clinging, wingnut, racist teabaggers." Well, the gun-toting, bible-clinging part is right anyway, and we're proud of it! For readers who crave more info on this topic, we have more on this site,but it isn't our man focus. 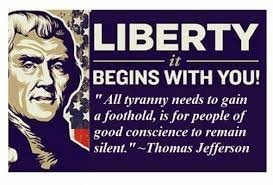 For more, try Obamaballotchallenge.com and Article II SuperPAC, other event sponsors, as well as Obama Release Your Records, http://giveusliberty1776.blogspot.com/, http://puzo1.blogspot.com/. There are lots more, but these will get you started. For opposition material, see The Ventura County Star, LA Times, WaPo, Obama Conspiracy and Native Born Citizen. It's good to hone your arguments via studying both sides. May the truth prevail. During the hearing over discovery issues, which Mr. Klayman wants to take the week of June 18, Judge Lewis noted that Mr. Klayman’s brief cited legal authority that a president, to be eligible, must have two (2) U.S. citizen parents, but President Obama and the other defendants cited no authority to the contrary. 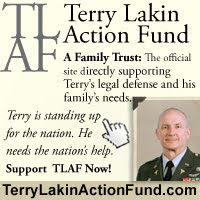 May 31, 2012, Tallahassee, FL – Activist attorney Larry Klayman announced today that Judge Terry Lewis of Leon County, FL has set a hearing on June 18th, 2012 at 9:00am to hear arguments from both sides about whether the eligibility of President Barack Hussein Obama can be determined in open court. Judge Lewis made crucial rulings in the famous Bush v. Gore case in 2000. Florida’s election statutes provide broad protections for voters to ensure that the integrity of the election system is beyond reproach. One of such laws allows voters to challenge the nomination of a candidate who is not eligible for the office he is seeking. Plaintiff Michael Voeltz, a registered Democrat, challenged the eligibility of President Obama because he was not born to two citizen parents and thus not a “natural born citizen” as required by Article II the U.S. Constitution. During the hearing over discovery issues, which Mr. Klayman wants to take the week of June 18, Judge Lewis noted that Mr. Klayman’s brief cited legal authority that a president, to be eligible, must have two (2) U.S. citizen parents, but President Obama and the other defendants cited no authority to the contrary. Mr. Klayman had cited the U.S. Supreme Court case of Minor v. Happersett, 88 U.S. 162 (1875). Judge Lewis ordered further briefing on this issue prior to the hearing. In a CNN interview yesterday Donald Trump stated ‘Obama hates this subject’ meaning the eligibility issue. This is because he appears not to be a legitimate American president, but instead an imposter who has fooled many. Unfortunately, the American people are the victims. It’s time that Obama, despite his protestations in proving his eligibility, either put up or shut up by coming forward with real proof, not doctored, computer-generated “proof” that he is eligible. The courts should finally require this real proof as to whether he is eligible for office,” Klayman added. The case is entitled Voeltz v. Obama, et. al. (No. 2012 CA 467) and is being heard in the Circuit Court Of The Second Judicial Circuit In And For Leon County, Florida. To request an interview please contact Adrienne Mazzone at (561) 750-9800. PLEASE help us with legal expenses. We have a lot coming up in the next few weeks! Support the Florida and Other Ballot Challenges! 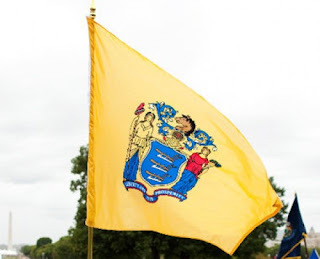 What is the Article II Legal Defense Fund? Find out. Only a natural born Citizen can legally be President of the USA. ”Obama” is not either. We might have spoken too soon. On Monday, we wrote that “birther” conspiracies about President Obama had mostly been laid to rest when the White House released his long-form Hawaiian birth certificate last April, but that some detractors are focusing on his college transcripts, hoping to prove Obama is not as smart as he seems. But it turns out there’s a subset of Americans (and we have heard from many of them) who fervently wish to read President Obama’s college transcripts for a different reason. It’s not because they give a rip about his grades, or his intelligence, but because when he applied to Occidental College, located in the Los Angeles suburb of Eagle Rock, they allege that he claimed to be a foreign student and may have received some sort of special benefit as a result. According to the urban myth-debunking website, Snopes.com, it appears this rumor got started in 2009, when a fake story – it went out disguised as an Associated Press item – made the rounds. The Obama eligibility investigation will not stop. Indeed, the latest Hawaii letter has infuriated the Cold Case Posse even more. A week and a half ago, Mike Zullo, leader of the Maricopa County Cold Case Posse, traveled to Hawaii. Zullo and his team are running the only “official” Obama eligibility investigation in the country. With him went a Maricopa County deputy detective, and journalist Jerome R. Corsi. On Monday, Zullo and company tried to meet with officials at the Hawaii Department of Health. They refused. The document gives a time of birth but not a date of birth. The signature by Alvin T. Onaka, PhD, the Hawaii Registrar, has the handwritten lowercase initials “gk” next to it. The first verification contains the legal language stating both Obama and Joe Biden “are legally qualified to serve under the provision of the U.S. Constitution.” Nevertheless, the second document which was submitted to all fifty states “was missing the text CONCERNING THE ELIGIBILITY of Barack Hussein Obama.” (emphasis added) (*). While a same tell tale typo is in both of these official documents Pelosi signed off on, the actual legal language that Obama had eligibility is not in this second document Williams obtained! Finally, pictures scattered about the web appear to compile evidence of Obama’s alleged origination in Kenya. 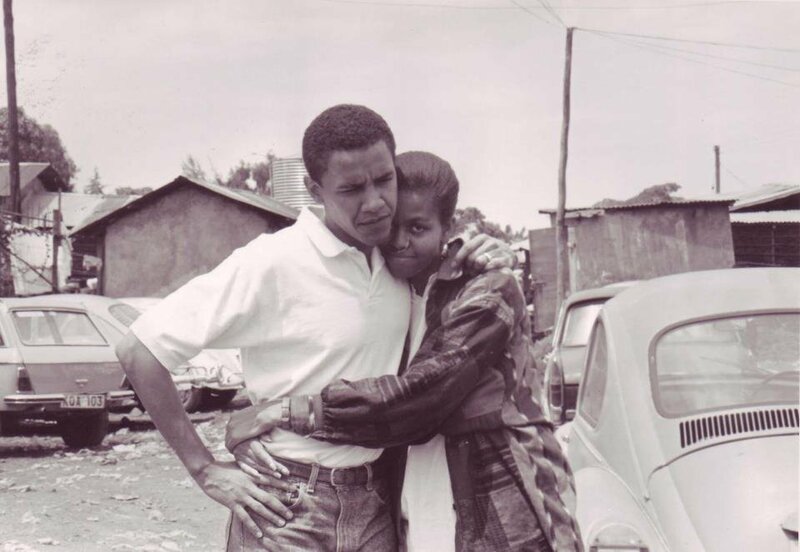 By scrolling down to #52 on this link , you can see Mr. and Mrs. Barack Obama (she appears pregnant) standing near a car that may have a Kenyan license number, and by one with a right side steering wheel. This picture shows three men in African attire which allegedly may be Obama with his half brother. “A young Barack Obama smoking in front of his family’s hut in Kenya, Africa, before he quit around 2009,” is the caption of a United Kingdom print outlet photo. When Sheriff Joe Arpaio and his lead investigator Mike Zullo within weeks hold what is purported to be a presser even more shocking than their first one, and ignored by the media, what will they reveal? Could evidence be forthcoming that Barack Obama may not even hold U.S. Citizenship because no documents apparently have ever surfaced that prove he repatriated his fealty to America after being adopted by Lolo Soetoro and after living as a citizen of Indonesia? (*) from above and Bob Unruh, “What Does Pelosi Know About Obama’s Eligibility?”. WND, 9-11-2009.
and also http://libertynewsradio.com/wire/articles 10/2011/00255 _Tim Adams Is Back in the News , 104513 php . Barack Obama is not winning any voting bloc he lost in 2008,and he is not doing better with any bloc he did win four years ago. Nevertheless,the “experts” keep telling us that this race is tied or that Obama is leading. The only way to explain these “expert’” pronouncements is that Obama has captured the coveted Power Ranger vote. Hey,if dead people and illegal aliens can’t vote anymore,toy dummies must be filling in the gaps for the real ones! As to real people,here’s the truth of where they stand on Obama. 1) A recent Pew poll found Obama went from up 9 points to down 5 points with Catholics since March. This translates to a shift of 18 million voters. 2) An April Pew poll found Evangelical Christians favor Mitt Romney 73/20,and white Catholics support him 57/37. 3) A Knowledge Networks poll conducted March 14-27 found Obama getting just 61% of Jewish support. No Democrat has ever won while getting 67% or less of the Jewish vote. In 2008,Obama won young voters 66/32. Today,the support for Obama among young voters has been measured at just 48/41,but more importantly,young voters have little enthusiasm to vote. Today,at best,56% said they would vote compared to 78% who said the same in spring of 2008. In 2008,Obama won the female vote 56/43. Monday’s Gallup poll found Obama ahead with women by 49/42. 6) Obama is losing men 50/42. In 2008,Obama lost men 49/48. In April,Gallup found Obama’s support among Blacks at 85% (down 5 points) and Hispanic support also down 5 points to 54%. Romney is the candidate. Now he must select a running mate. Two things we know. He is aware of the Article II requirement. If he picks Rubio or Jindal we know that he is a member of the cabal which is determined to destroy the Constitution. A true believer of the Constitution will not vote for an ineligible candidate. Do you vote for Romney anyway? - or do you vote for anyone other than a Democrat? AKA Obama's failure to register makes him 100% LEGALLY & 100% LAWFULLY INELIGIBLE IN THE USA for any legal USA student financial aid, 100% LEGALLY & 100% LAWFULLY INELIGIBLE IN THE USA for Federal Job training, 100% LEGALLY & 100% LAWFULLY INELIGIBLE IN THE USA for a Federal Job in the Executive Branch, and can keep him 100% LEGALLY OFF ANY AND ALL 50 States General Election ballots; and finally, this makes him 100% LEGALLY & 100% LAWFULLY INELIGIBLE in the USA for United States Citizenship." Stanley Ann Obama divorced Barack Hussein Obama, Sr. in March 1964. She then married Lolo Soetoro who is a citizen of Indonesia in 1967. During the marriage, the family consisting of Stanley Ann, Lolo and Barry (Obama) Soetoro, moved from Hawaii to Indonesia. Once in Indonesia, Lolo, who is an Indonesian citizen, established his Step-Son Barry, as his adopted son so that he might enter an Indonesian school. In order to enter Indonesian schools at all under the brutal Suharto regime in Indonesia, (Obama) Barry Soetoro needed to be an Indonesian citizen, and to be an Indonesian citizen, his adoption was necessary. Once his Indonesian citizenship was secured in Indonesia, his American citizenship was terminated, and Obama’s citizenship was lawful only in Indonesia. [If] he was born in Hawaii, he would still be required to take an Oath of Naturalization to regain an American citizenship following his eighteenth birthday. This NEVER occurred. In addition, if Obama failed to properly register for the draft before age 26, HE IS PERMANENTLY DISQUALIFIED from making a naturalized decision. As a consequence, whether or not he was born in the United States, he is an illegal alien in and to the United States of America. 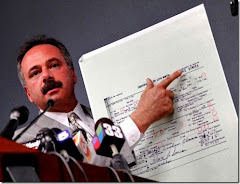 If his draft registration card is a forgery as indicated by Sheriff Joe Arpaio’s Cold Case Posse and he did not register for the draft until 2008, some 46 years after his birth, although he has been in the United States since age 10 following his becoming a legal Indonesian citizen, he has committed a felony that exposes him to a five year prison term and a $250,000.00 fine. More importantly, his failure to register makes him 100% LEGALLY & 100% LAWFULLY INELIGIBLE IN THE USA for any legal USA student financial aid, 100% LEGALLY & 100% LAWFULLY INELIGIBLE IN THE USA for Federal Job training, 100% LEGALLY & 100% LAWFULLY INELIGIBLE IN THE USA for a Federal Job in the Executive Branch, and can keep him 100% LEGALLY OFF ANY AND ALL 50 States General Election ballots; and finally, this makes him 100% LEGALLY & 100% LAWFULLY INELIGIBLE in the USA for United States Citizenship." Mitt Romney is a “natural born Citizen of the United States” and is constitutionally eligible to be President and Commander in Chief of our military. He was born in the USA to two U.S. Citizen parents. 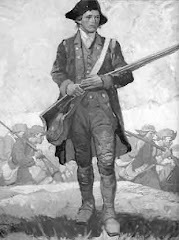 Barack Hussein Obama is NOT a “natural born Citizen of the United States” and is NOT constitutionally eligible to be the President and Commander in Chief of our military. Mitt Romney, a "natural born Citizen of the United States". 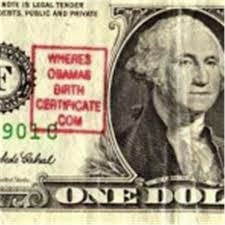 Barack Obama is NOT a "natural born Citizen of the United States". Mitt is constitutionally eligible to be President per Article II Section 1, the presidential eligibility clause of the U.S. Constitution. Barack is not. Mitt Romney is a “natural born Citizen of the United States” and is constitutionally eligible to be President and Commander in Chief of our military. He was born in the USA to two U.S. Citizen parents. Why is Al Gore Afraid to Debate With Lord Monckton? Find Out Tonight! None of the Global Warming luminaries have the courage to debate Lord Monckton, because he is always well prepared, intellectually agile and with sharp wit. He is legendary for his efforts to research and deny the Global Warming fraud and then communicate that knowledge clearly and effectively. Now, he has also turned his attention to the Obama eligibility fraud, after hearing about, then confirming that “Obama” has failed to prove his natural born Citizenship and therefore is not constitutionally eligible to be President. He realizes the threat to America– and by extension– to the world– of having an enemy of freedom in the White House– not that there aren’t many others elsewhere in government, industry, academia and communications. 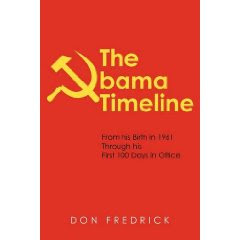 Author and activist Tom Ballantyne was already well known for his efforts for freedom and against the fraud Obama, via his speaking and writing. You can see both of them at the same session tonight in Southern California, if you’re anywhere in range right now! Otherwise, you’ll have to wait for event reports. Tell people in SoCal about this now! As a genealogist of many decades experience and familiar with putting together such things as proven data, unproven data, records, statements of relatives, and other tidbits about a person over time to form a plausible narrative to explain those “facts” given the information in hand at the moment of writing, and always subject to update as more facts are discovered which support or dispute the suggested narrative, I cogitated on the “facts” about Obama as known to me from early 2008 until the early summer of 2009 and finally wrote this in June 2009 to try and explain things. I thought I’d re-post this suggested narrative, with updates, to explain events we’ve seen to date regarding the Usurper in the Oval Office. If you have Twitter, Facebook, and email lists, feel free to “tweet” or forward this narrative to others. Thanks. Underage U.S. teenager in Hawaii gets pregnant via a significantly older married man and foreign national from Kenya which would have been a very unusual event in 1961. Mother of teenager is in total shock over the event as would have been many mothers of teenage girls getting pregnant in 1961 and says to her daughter you have ruined your life and will make going to college much harder for yourself and convinces the teenage girl to accept the suggestion of Obama Sr. that she should go to Kenya in the 2nd trimester or early 3rd trimester of her pregnancy with the plan to give up the baby to the Kenyan natural family and relatives of the natural father of the child to be raised in Kenya by them. 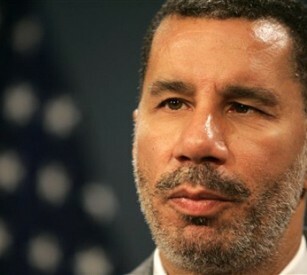 Democrat personality David Paterson, former governor of New York and now a talk-radio host on WOR in New York City, has suggested Barack Obama could be ineligible for the Oval Office and “got away” with it. And Paterson linked Obama’s actions to treason. On his show yesterday, he was asserting, along with NBC Chief White House Correspondent Chuck Todd, that GOP presidential candidate Mitt Romney should have distanced himself more from developer Donald Trump and his doubts about Obama’s eligibility. Paterson compared Obama’s actions to those of President Richard Nixon. The interview has been posted online by WOR. Paterson’s comments come at about the 16:20 mark. Before the comments, Paterson and Todd had agreed that Romney was doing his campaign no benefit by not distancing himself from Trump, who just this week blasted CNN for not reporting on the issue more accurately. The heated exchange between Blitzer and Trump can be seen here. 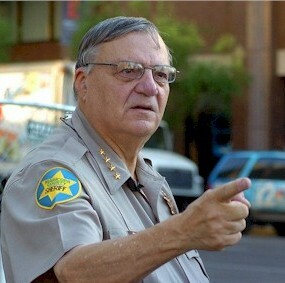 "America's toughest sheriff" says there is "tons" more potentially shocking information on Barack Obama in connection with his probe into the president's eligibility, and he calls the media's suppression of his findings of a likely forged presidential birth certificate and Selective Service Card "probably the biggest censorship blackout in the history of the United States." "I'm not going after the president to keep him off a ballot or anything else, but that could happen," Arizona Sheriff Joe Arpaio said. 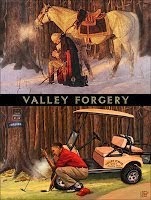 "I'm going at it strictly as a law-enforcement guy investigating a possible forgery and fraud. I'm sticking with that, but I'll tell you one thing. We got tons of other information that could be very shocking, too, but I'm sticking now with just the [forgery] investigation and possible criminal violations." The source, who has contact with Hawaii government officials, was questioned by Mike Zullo, the head of Maricopa County Sheriff Joe Arpaio’s Cold Case Posse team. Zullo recently returned from a trip to Hawaii to follow up on leads in the posse’s investigation of Obama’s eligibility for the 2012 election ballot in Arizona. Arpaio announced March 1 that his team found probable cause that the document posted by the White House April 27, 2011, is a forgery. 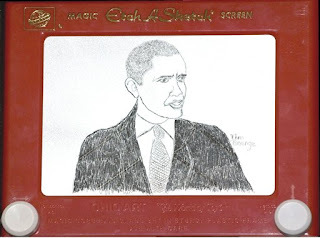 Barack Obama's long-form birth certificate forgery contains so many forger's errors that it would make for a fun parlor game. WASHINGTON (Reuters) - Finally, there is definitive proof: The presidential candidate was born in the United States, and his father was not. 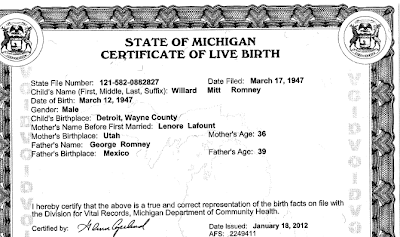 Yes, Republican Mitt Romney appears eligible to be president, according to a copy of Romney's birth certificate released to Reuters by his campaign. 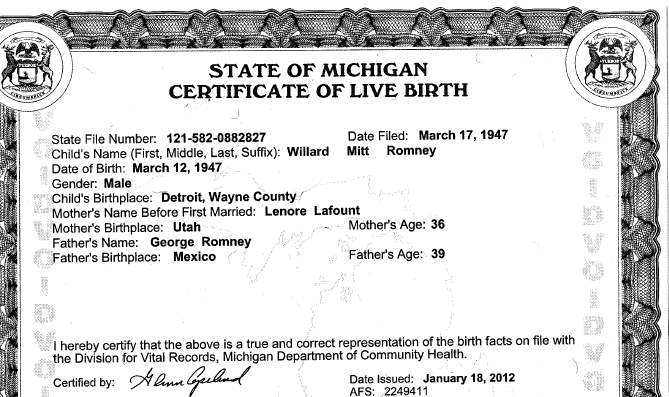 Willard Mitt Romney, the certificate says, was born in Detroit on March 12, 1947. His mother, Lenore, was born in Utah and his father, former Michigan governor and one-time Republican presidential candidate George Romney, was born in Mexico. 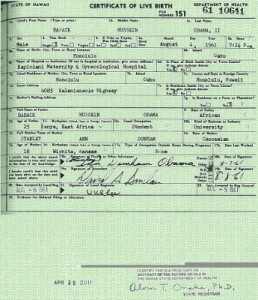 So on a day when real estate and media mogul Donald Trump was trying to help Mitt Romney by stirring up a new round of questions about whether Democratic President Barack Obama was born in the United States, Romney's own birth record became a reminder that in the 1968 presidential campaign, his father had faced his own "birther" controversy. Back then, George Romney - who died in 1995 - was a moderate who was challenging eventual President Richard Nixon in the Republican primaries. Records in a George Romney archive at the University of Michigan describe how questions about his eligibility to be president surfaced almost as soon as he began his short-lived campaign. In many ways, they appear to echo today's complaints that Trump and some other conservative "birthers" have made about Obama while questioning whether Obama - whose father was from Kenya and mother was from Kansas - was born in Hawaii. Irrefutable Proof that Barack Obama is Not Eligible to be President of the United States - DETAILS HERE. As we move from one dramatic diversion of Obama’s life story or unconstitutional antics to another, there is some very serious stuff going on in yours and my back yard. Its called Agenda 21—the stealth plan of the New World Order to inventory and control every piece of land in and the water supply of the United States. Their cowardice doesn’t make them bad people,but their snarky swipes at those of us who understand that two and two has always been four and will never change make them despicable. 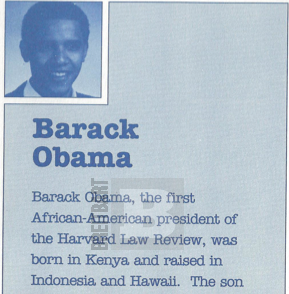 After seeing the mountain of evidence on the subject,it is very clear that Barack Obama was not born in Hawaii and is a fake. Did you hear that,snarky media people? Nobody over ten believes this phony twerp was born in Hawaii. Those who publicly say they believe Obama’s birth certificate and biography are real simpletons who are hoping to have the liberal alligator eat someone else first. The truth is staring all of us in the face,and those who pretend to “take the president at his word”,regardless of their political allegiance,are way past annoying. They are insulting to our intelligence. Listening to (or reading) “conservative” commentators talk about this issue demands a response. May 29, 2012 TPATH - Before you scroll down and read the astounding and ultimately devastating poll results, here is a bit of background on its structure and why it was taken. It will be quite clear too, why the mainstream media will not take a poll like this, as it will show they are losing the battle of secrecy they have been waging against our people. 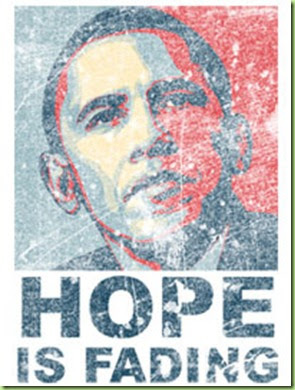 A few weeks ago TPATH posted an open letter to Glenn Beck in response to his openly condescending remarks concerning the on going birth and forgery issues of one, Barack Hussein Obama. Typical of the mainstream news media, Beck belittled, in pure Alinsky fashion, the patriots of this country who care about the complete Constitution, and not just selective, convenient sections. Our point in writing the letter was to ask Glenn to post questions to his viewers and readers of the Blaze, which would let him see the large percentage of his "people" which have not been convinced that the Usurper, is in fact, not an usurper. As one who has spent almost 4 years investigating this fraud they call the President, even I was flabbergasted at the outcome of this poll. Of course this was not scientific. Far from it. For certain most of the participants are regular readers of TPATH or were sent the link by them. 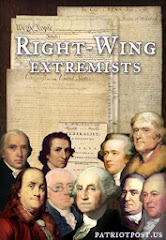 This group is comprised of hardworking Americans who consider themselves, for the most part, Conservatives, Constitutionalists, Capitalists, Republicans and even a few Libertarians. Very few Marxists and forgers visit TPATH. This was an on line poll with no restrictions except the participant had to supply an email address so as to prevent multiple votes by one person. Two votes per email were permitted to allow for those who only have one email. Votes which did not have a viable email address were rejected and not counted. The poll was up for one week. 1- Are you convinced that Obama was born in Hawaii? 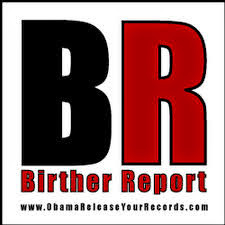 2- Do you think Hawaii should release the microfilm record of Obama's birth? 3- Do you think such microfilm exists? 4- Do you think Obama is hiding facts concerning his birth? 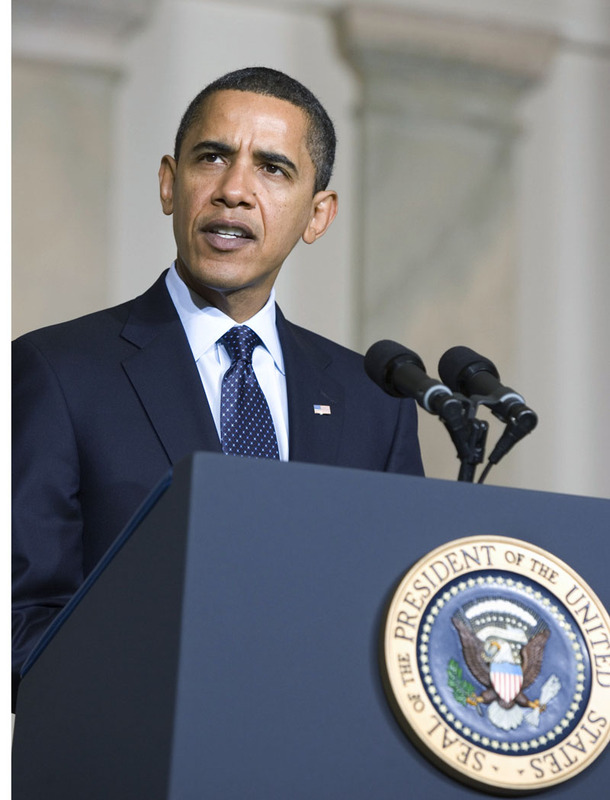 5- Do you think Obama is Constitutionally eligible to be president? 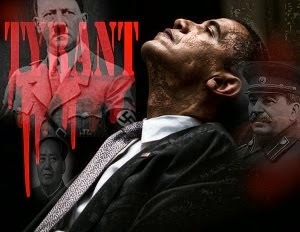 Obama Helped a Communist Gain Power in Brazil and Kenya and is Working Hard to Put a Socialist in Charge of Honduras. He used Taxpayer Money to put Sharia Law in Place in Kenya, Egypt and Libya. Syria and Iran are the Next Islamo-Communist Dominoes. One World Communism and Islamic Terrorist Support is Now America's Official Foreign Policy. A MUST READ. In 2008, a proven liar with more than one government documented name/alias usurped the Office of the Presidency of the United States while claiming birth in Hawaii where rampant fraud is a KNOWN FACT yet spending millions of dollars to fight unfettered access to all of his records. Usurping the Office of the Presidency of the United States is a crime and a matter of national security. Anyone aiding and abetting in allowing this crime to take place and continue are also guilty of a crime. The Rule of Law must apply to everyone equally and no one is above the law. Friday April 27th, 2012; was the cut-off day for the Hawaii State Legislature to move bills out of committee in order for them to be passed during the current session and one year to the day that Barack Hussein Obama Soebarkah AKA Barry Soetoro placed his fraudulent digitally composited Long Form Birth Certificate on the White House servers. I was researching the legislative progress on that day to see if any bills were being voted on that would affect Hawaii Statute 338-18 and access to vital records relating to Barack Hussein Obama II. 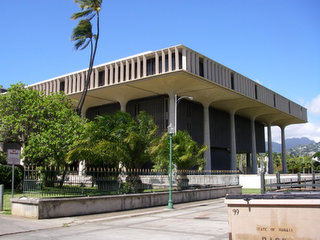 The State of Hawaii previously gave its agencies the authority to legally ignore requests for government records with the passage into law of SB2937 on May 12, 2010. What that law did was allow anyone repeatedly seeking government records to be designated as a “vexatious requester”. What I discovered was that on January 26th, 2011 no less than 3 bills were introduced into committee to specifically allow law enforcement agencies access to vital records for the purpose of criminal investigations. "RELATING TO THE DISCLOSURE OF VITAL STATISTICS RECORDS TO LAW ENFORCEMENT OFFICERS"
Hawaii couldn’t exactly call their own law enforcement agencies “vexatious requesters” so they prevented the bills from going forward. The State of Hawaii has no excuse for not passing legislation so “vitally” important to public safety with one possible exception…Barack Hussein Obama II. However, researching further I was stunned to find out that the top law enforcement officers in the State of Hawaii had actually provided the Hawaii Legislature with official testimony that explained the legal justifications as to why it was imperative for law enforcement to have access to vital records for criminal investigative purposes, and advised them to urgently pass these bills only to be ignored. HEY OBOTS!...ARE YOU PAYING ATTENTION?